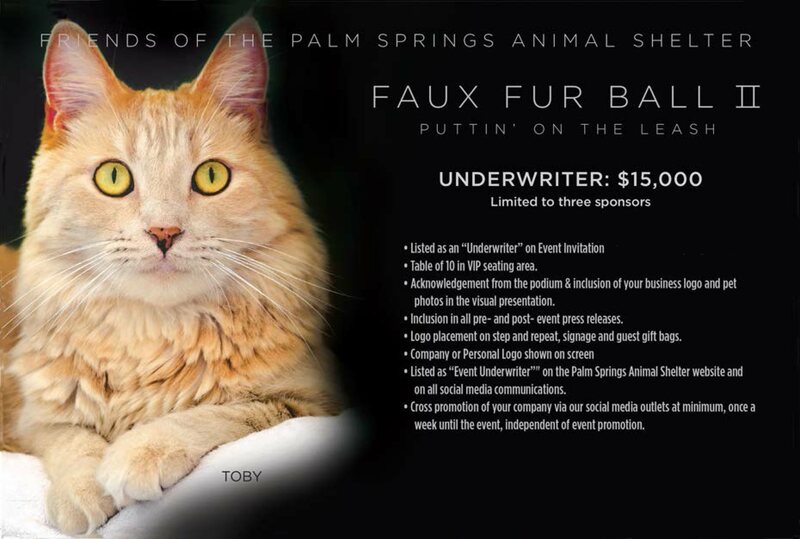 512 animals are depending on us and YOU! 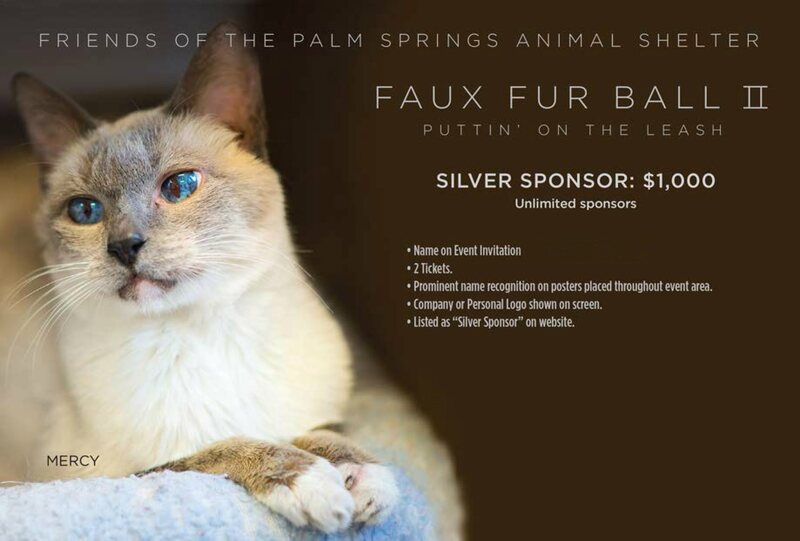 As the only public shelter operating under no-kill standards, we have a tremendous amount of animals depending on us. 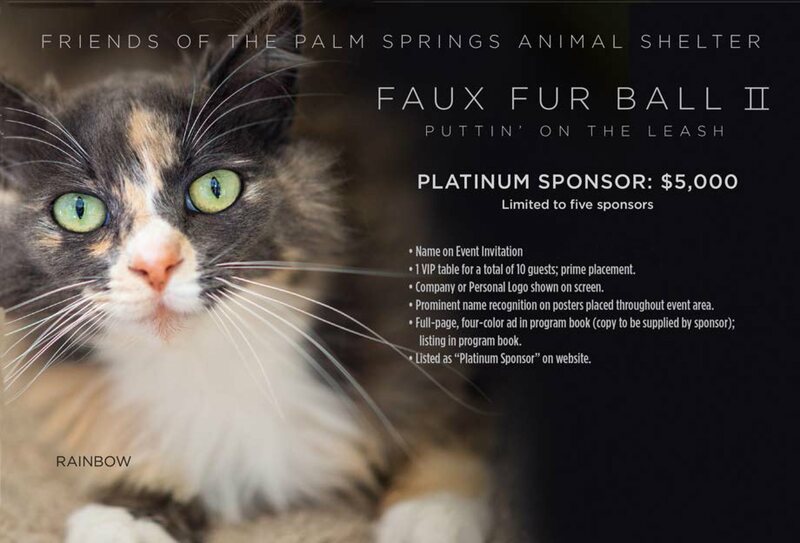 This is a huge undertaking, but one we are committed to 100%. 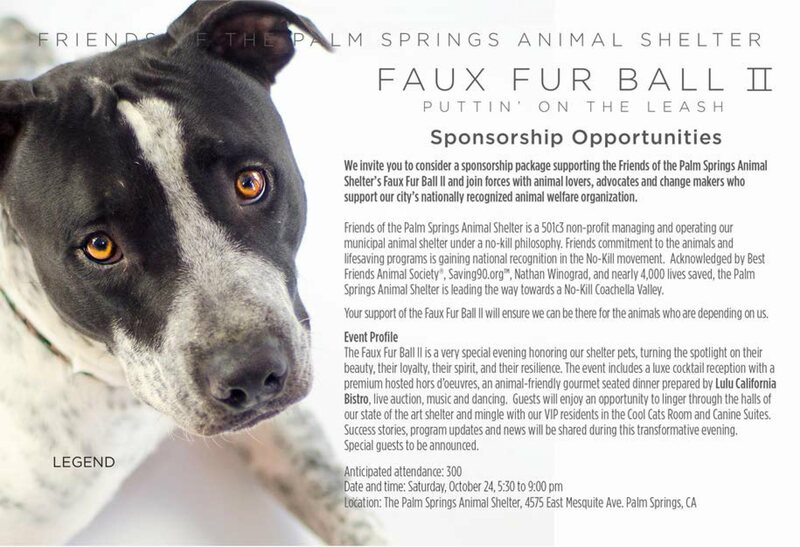 You can help us continue our no-kill mission by electing to sponsor the Faux Fur Ball II: Puttin' on the Leash, our annual fundraising event held on October 24th, 2015. 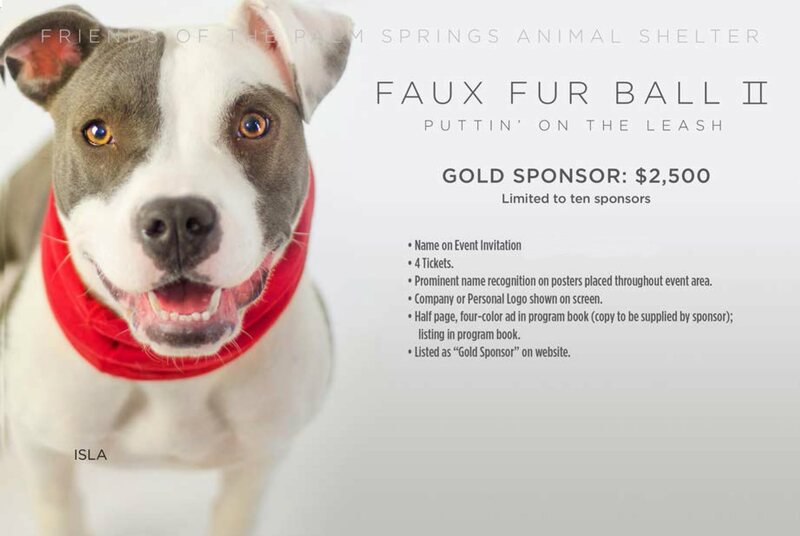 For more information email Alicia Bailey at abailey@psanimalshelter.org or call us at 760-832-6231. 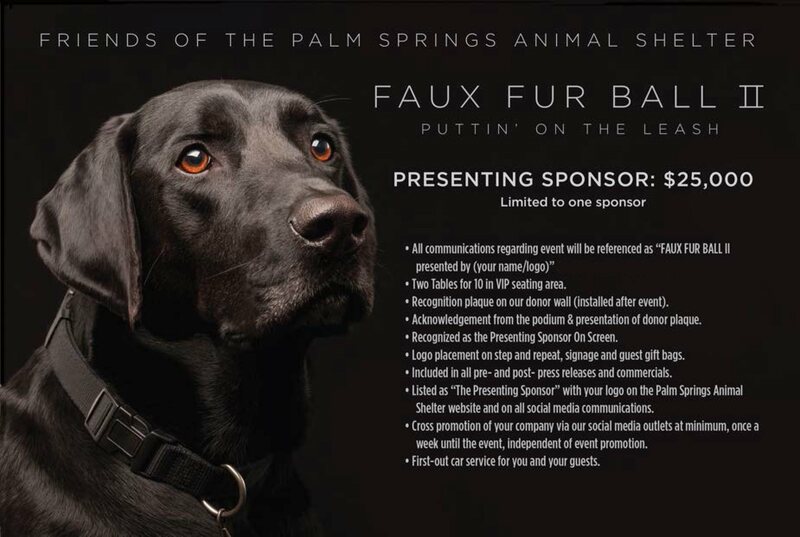 To become a Faux Fur Ball II sponsor, email Alicia Bailey at abailey@psanimalshelter.org or call us at 760-832-6231.